Traditional TV commercials set the stage for online video and this broadcast-based basis opened our eyes to the strength of the screen. While TV still holds its own ad appeal, digital marketers are now firmly focused on creating vibrant online video campaigns that keep viewers watching and wanting more. 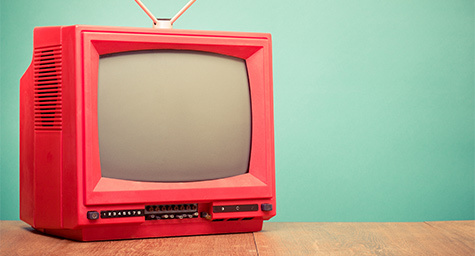 While digital video campaigns offer a unique visitor experience, advertisers can learn a lot by looking back at their TV counterparts. To highlight how online video ads can build on the strategies of TV campaigns, iMediaConnection.com offered a closer view. Digital channels turn advertising into an interactive experience, offering a two-way path for communication that lets brands share their message and viewers share their feedback. Despite this big advantage, digital screens are smaller than those on TVs and video content can be longer than most TV viewers like. Another digital difference is that most platforms give viewers the option to skip ads, so the most important content should come at the beginning of an in-stream ad to ensure that it’s seen and not skipped. Since video viewers tend to consume a variety of shorter content on their desktops and mobile devices, some advertisers run multiple short ads instead of one long ad and give viewers the option to view additional ads. Measurement is also a major distinction. The metrics for TV revolve around reach, yet digital marketers measure a multitude of factors, including reach, impression volume, clicks, conversions, completions, interactions, and more. One of the newest metrics to emerge is viewability, which is defined as having at least half of the ad in view for at least one second. An additional digital metric opportunity is the ability to analyze performance across various media channels using consistent measures. This creates a degree of commonality in metrics to other types of creative within the same channels in order to synthesize data. While TV and online video share a range of connections and contrasts, they each offer valuable viewing opportunities and key insights for advertisers to build upon. The most important takeaway is that both are essential to the media mix and complement a campaign’s additional print advertising, social media, mobile, outdoor, and other marketing elements. Each channel provides a new point of consumer contact, so marketers should leverage as many channels as possible and tailor each message to match the medium. This is the best way to ensure a consistent message and a wide range of reach that catches every eye at every opportunity. Take advantage of the impact of digital video advertising. Contact MDG Advertising. MDG Advertising is a full-service advertising agency and one of Florida’s top branding firms. With offices in Boca Raton, FL and New York, NY, MDG’s core capabilities include branding, logo design, digital marketing, print advertising, mobile marketing, email marketing, media planning and buying, radio and TV advertising, outdoor, newspaper, digital video advertising, Web design and development, content marketing, social media marketing, and SEO. To stay on top of the latest trends in marketing and advertising, contact MDG Advertising.